Andrew is Team Cap and Diana is Team Iron Man. This week they duke it out while talking about Captain America: Civil War. 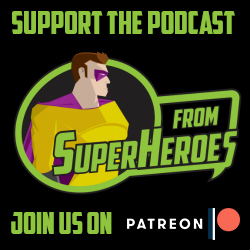 The moral gray or lack of, how we feel about the new Spider-man, and how Chris Evans is more sexual while holding a helicopter than he is kissing a woman.